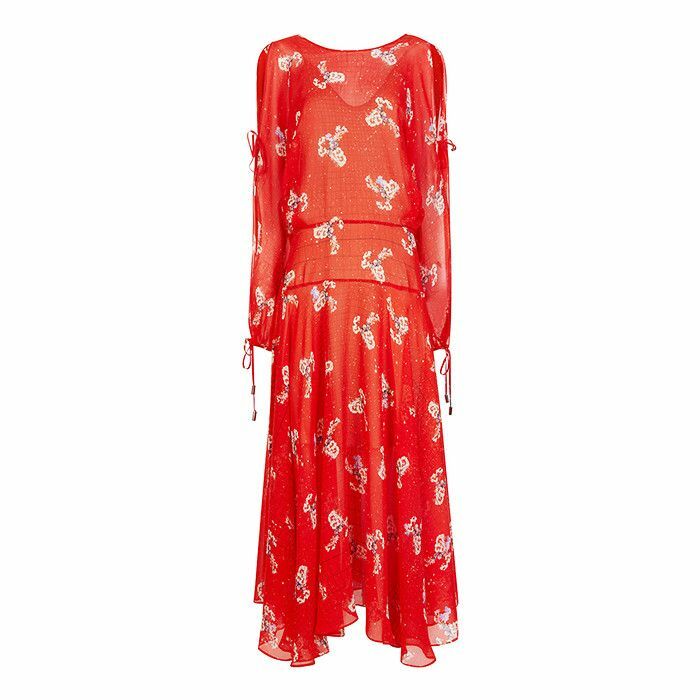 Welcome to the first—and, may we say, highly exciting—instalment of Who What Wear UK's Best Wardrobes in Britain. It's where we do exactly what that title says on the tin: Delve into the most fantastical, awe-inspiring and downright influential wardrobes in this fair country of ours. We're zeroing in on the girls who cause the street style photographers to press their shutters as much as the women you don't yet know—the ones who fly under the radar with secretly incredible clothing collections. We couldn't be more thrilled to kick off the series with one of the major industry players we've long been watching: Roberta Benteler. She's the ultra-chic, German-born Avenue32.com founder who has a walk-in closet to rival any we've ever seen and an entirely fresh attitude when it comes to choosing what she wears from it. On Roberta Benteler: Balenciaga jacket; Céline top and cuff; Vetements jeans. WWW UK: Do you have any style icons? RB: Mostly men. I think Mick Jagger—when he was younger. Keith Richards, even better! Even David Bowie, or, you know Jimi Hendrix. All of those kind of '60s rock stars, the men particularly—they all had quite effeminate bodies and tiny waists—the tailored jackets and little scarves, I’m kind of a sucker for that kind of style. In Roberta's wardrobe: Saks Potts Camel Shearling Colour Block Coat (£1105). RB: Very rarely because it’s always clothes that I love, you know. Ever since I launched Avenue 32 and I've worked in the fashion industry, I’ve just become much more conscious when I buy stuff. I obviously end up buying more than I did before because I get a discount! But I always really try to think Will I really love this? or Will I really wear this? You have to look at [shopping] from a different perspective. On Roberta Benteler: Balenciaga blouse; Étoile Isabel Marant Baker Boy Cap (£95); Simon Miller Leather Bonsai Bag (£315). WWW UK: What's your shopping method, and do you go shopping with anyone? RB: No! When it comes to shopping I’m a total loner. I also am so instinctive… I run through a shop really quickly and try one thing on. I have to have the urge that I really want something, and then I consider about how much I would wear it. I don’t think I’m a sociable shopper [as] I'm also way too opinionated and too direct! On Roberta Benteler: Y/Project Black Tulle Embroidered Shirt (£375); Vetements jeans; Céline earrings; Gucci loafers. WWW UK: What are you most obsessed with right now? RB: Y/Project. I really love it. It’s very androgynous. There is a man wearing this blouse (pictured) in their campaign but he looks really good in it—like, who wore it better? I think he did! I think it’s a genius brand and really intricate—for the embroidery and the detailing, it’s very well priced. There’s a whole cult around that brand; you go to any other show and it’s tame compared to Y/Project [where] there’s literally hundreds of people trying to get into that show and they’re all fashion students. Roberta's epic collection of handbags. 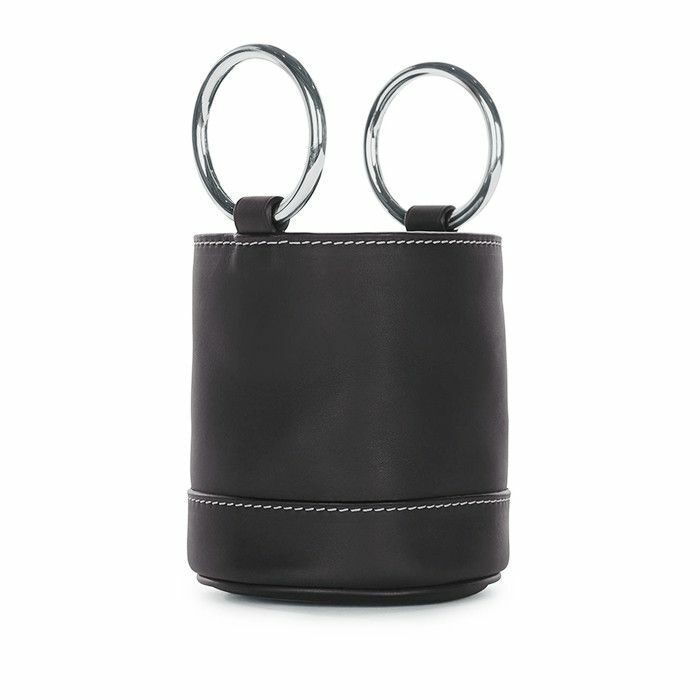 WWW UK: What was the last thing you bought? RB: Hmm. In any category? I bought these cut-out Varley leggings from Avenue 32 and they’re really, really flattering! 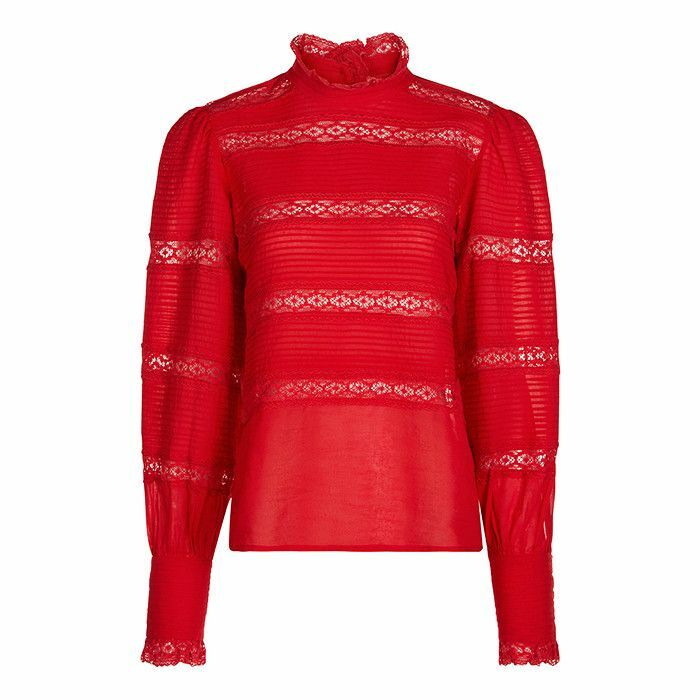 I also bought an Isabel Marant blouse, a red lace one. 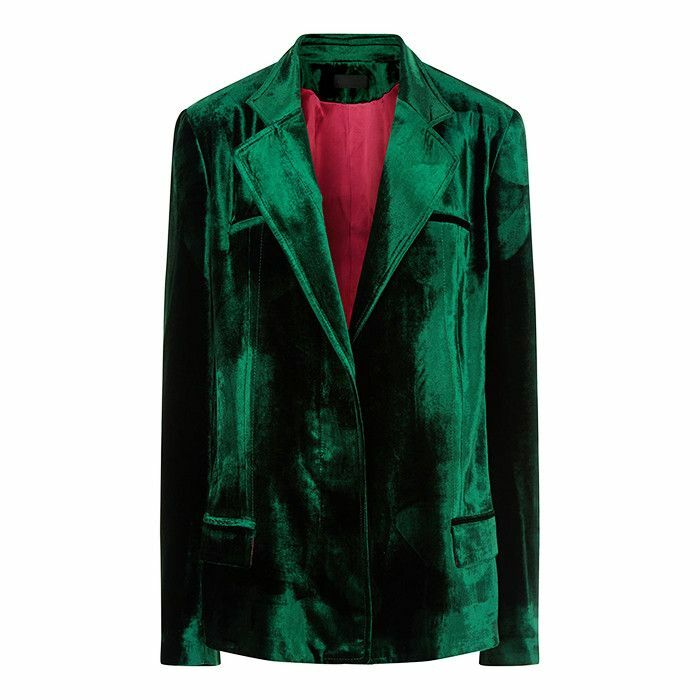 WWW UK: Is there anything you'd never wear? RB: I’ve never worn slides. You will never find me in Birkenstocks and socks because I’m German and there was a prejudice against Birkenstocks! We just see it as a different thing. 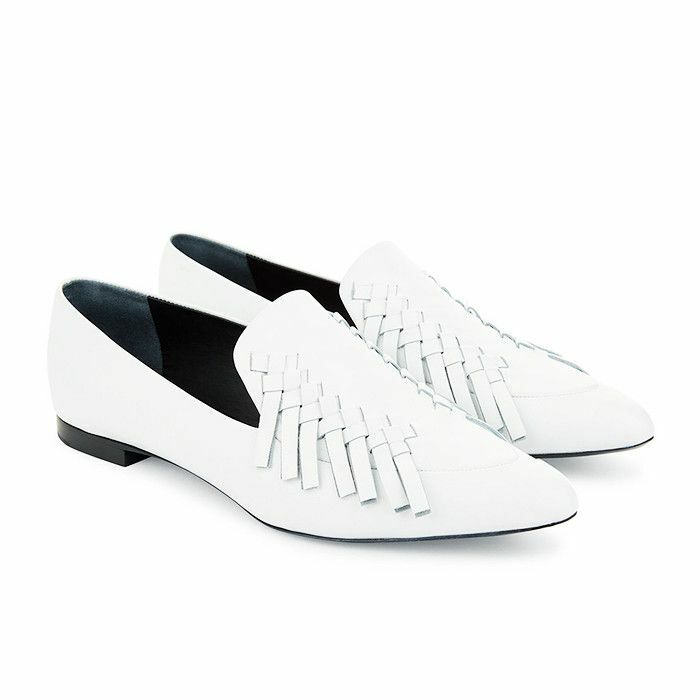 For me they’re the last thing I would consider fashionable, no matter whether they’re Céline or not. I wouldn’t be caught dead in them! WWW UK: What's your go-to outfit in a hurry? RB: Always jeans. Jeans, flats, loafers mostly, well… It’s probably high-waisted jeans, Gucci loafers and a Loro Piana jumper. And I always wear Loro Piana for men—so I go to the outlets, in like Bicester or Florence, and I buy men’s sweaters. Menswear is always cheaper than women’s anyway, and the mens' jumpers are cut much nicer at Loro Piana, they aren’t so fitted. I like the kind of boxy boyfriend jumper style, so I go there and buy all of the jumpers in a 48, the smallest size, and they are perfect! On Roberta Benteler: Balenciaga blouse; Saint Laurent jeans; Chanel shoes. WWW UK: How do you usually choose an outfit every morning? RB: I guess normally I would always start with the trousers because that’s a comfort question: Do I want to wear a tight pair of trousers? Or sometimes I want to wear a baggy trouser, or there might not be the right weather for a cropped trouser… Trousers for me are really important, but if it’s a high heel day then, you know, I start from the shoes. Inside Roberta's attic walk-in wardrobe. WWW UK: What is your most treasured item of all? RB: Probably an old Chanel jacket, which was the first Chanel jacket I ever bought. It’s really really worn out now—it’s like a canvas with a gloss over it, which makes it look like a kind of crocodile stamp leather—and it did wear out really nicely: The colours have worn off and it is kind of stretched in some places, but it just looks really cool now. It still works. I bought it in Paris and it was a really good time in my life—I was really young and I kind of saved up for months and months to be able to buy it. Kate Moss had it, and I was really into it! That’s definitely up there. WWW UK: We cannot blame you! 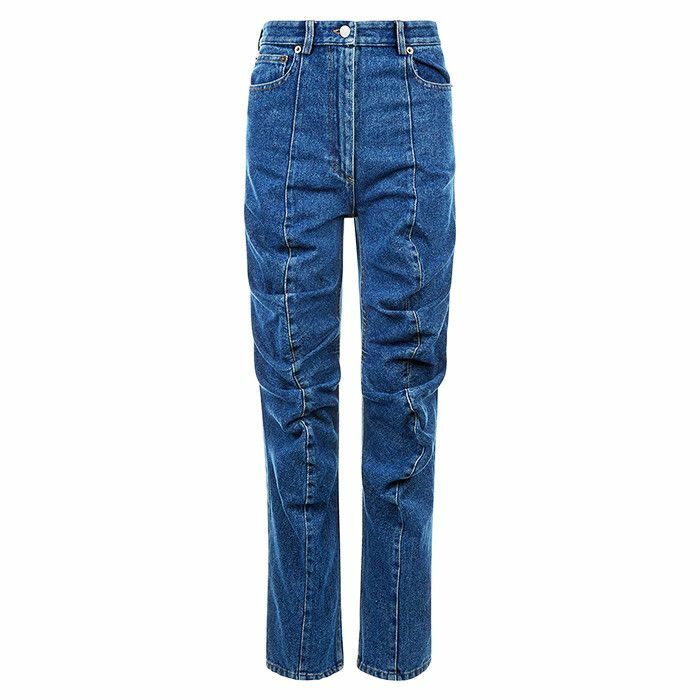 WHO WHAT WEAR UK: What was your first big purchase? ROBERTA BENTELER: I’ve always been crazy about fashion, so even my first H&M purchase then was a big purchase, right? Because I started trying to buy my own clothes when I was about 12 with my pocket money, and I would go to the next town and go to H&M and buy myself something there, it would appear in-affordable to me at that age. So I remember having a really beloved pair of flared jeans, for example, that back then were like the biggest thing. See the most important spring/summer 2017 trends here.